Please contact us on 01628 247 000. These stunning homes are tucked away from the hustle and bustle of the High Street and sheltered amongst mature trees and ornate plants. Each home has been finished to the highest specification and blends clean and contemporary interior design with classic exteriors. The town of Marlow offers stunning architecture and beautiful scenery, providing an idyllic backdrop to Portland Gardens. 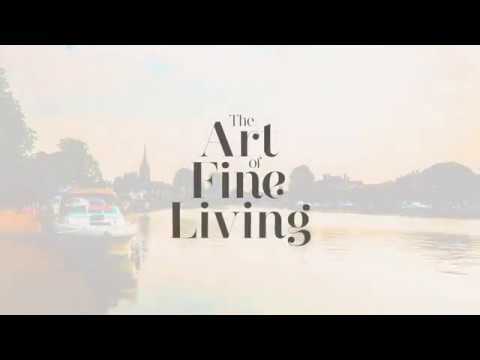 Within a stone’s throw of Portland Gardens, Marlow’s cosmopolitan high street bristles with a variety of amenities including a collection of fine eateries, wine bars, and boutique shops, including The White Company, Whistles and Mint Velvet. For those looking for light active pursuits, less than half a mile away, take a walk by the River Thames to enjoy the views of Marlow Bridge and All Saints Church or discover the award-winning Higginson Park. A little further afield, the historic towns of Henley-on-Thames and Windsor are perfect for exploring and if you’re feeling adventurous, enjoy a boat trip down the river to either town! Marlow offers the very best of rural living combined with fantastic connections - the hustle and bustle of London is easily reached via train in just over an hour or via the nearby M4. Award-winning developer Crest Nicholson is proud to announce its sponsorship of the football team at St Peter’s Catholic Primary School in Marlow. The school, which has been a part of the community for nearly 45 years, is for children aged between 4 and 11. “I love Marlow”, explains Diana Simons, who has lived in the area for 25 years with her husband, David. The couple have recently moved within the area to a new home at Portland Gardens, built by award-winning developer Crest Nicholson. Award-winning developer Crest Nicholson is delighted to announce its Plot of the Week at Portland Gardens. This week it is The Redgrave, a four-bedroom semi-detached house, available for £1,575,000.